Prophet T.B. Joshua has given both a message of hope and warning to Nigerians regarding the upcoming presidential elections. 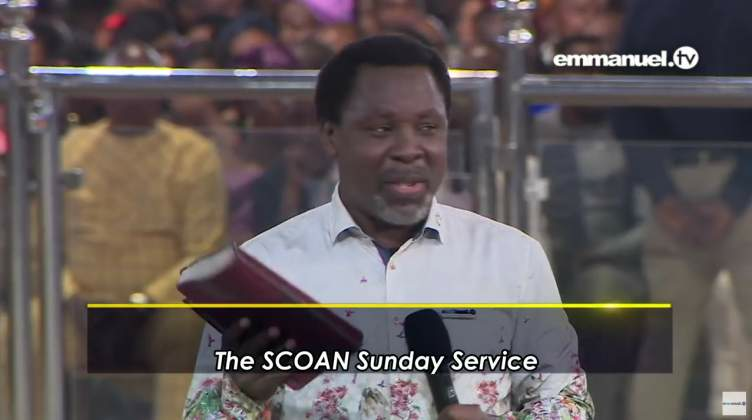 "I want to tell you that no matter the situation, be calm; God is in control," Joshua counselled congregants on Sunday 10th February 2019. "Those who will cause trouble will see trouble and those who will cause peace will see peace," he continued, detailing that the aftermath of the election would ‘look very fearful'. "You will see the clouds so dark as if it's about to rain - but suddenly the dark cloud disappears," he figuratively depicted, saying Nigerians would have greater cause to "respect God" after the elections. "If anything happens to this country called Nigeria, that is the end of Africa," he asserted, explaining that Africa's most populous nation "has a very strong bond with God". "If the people of Nigeria want to cause trouble, they will cause trouble for themselves but the nation of Nigeria will stand," the cleric concluded. The message comes after Joshua called on congregants last year to pray against "the interruption of the democratic practice" in Nigeria. Earlier in his sermon, Joshua lauded the importance of 'working hard' and 'reporting.' "Your hard work alone is not enough to help your company grow but also your reporting whatever is happening in the company," he counselled. "We manifest what we possess. We cannot possess faithfulness, which is one of the fruit of the Spirit, yet see unfaithfulness and remain silent. This is compromise… When we are silent, we cannot be placed," he stressed. After the service, an online news reporter claimed he saw Joshua who additionally warned that the election "may likely be postponed" because of "many challenges," adding that even in such a scenario, God remained "in control". The fiercely contested presidential election scheduled to be held on Saturday 16th February 2019 pits incumbent President Muhammadu Buhari against his main contender, Atiku Abubakar.